Can Jean Claude-Juncker End Trump’s Trade War With Europe? World Donald Trump Trade War European Union The Trump administration seems to think Jean Claude-Juncker will turn up for talks in Washington on Wednesday waving a white flag, handing an early victory to America in the trade war it launched against the European Union (E.U.). If so, officials are in for disappointment. 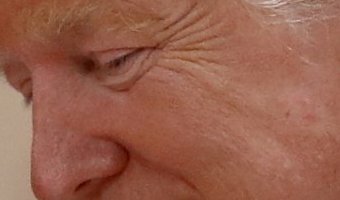 President Trump wants the E.U. to fully open its market to American firms, removing all tariffs, barriers, and subsidies in a reciprocal deal. He believes the E.U. is “ripping off” America and cites the large goods trade deficit as evidence. Larry Kudlow, director of the National Economic Council and one of Trump’s most senior advisers, said he understood the European Commission president will be “bringing a very important free trade offer," CNBC reported. Recommended Slideshows 76 The Most Powerful Military Forces in the World 59 The 25 Most Powerful Passports in the World 61 Every World Press Photo Winner Ever: 60 Images That … [Read more...] about Can Jean Claude-Juncker End Trump’s Trade War With Europe?